Several weeks ago, at the CEB Sales and Marketing Summit, I interviewed the authors of The Challenger Customer about what it takes to win big deals today -- especially when they involve multiple decision makers. I hope you enjoy the conversation below. Here's me with The Challenger Customer co-authors: Patrick Spenner, Brent Adamson and Nick Toman and Josh Bland (left) from TechnologyAdvice. Jill Konrath: I'm excited today to talk to these guys. 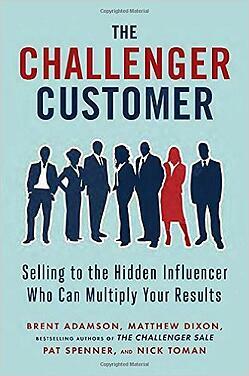 I really like their new book, The Challenger Customer. And, I have some questions to put them on the spot. Let's start with you, Brent. You wrote The Challenger Sale. Now you've got a follow-up book. Tell me, what were the trends that drove all the research behind your newest book? Brent Adamson: What this book is really about isn't about selling and marketing nearly so much as it is about buying. At the heart and soul of this book, the biggest of those changes on the buying side is just the number of people involved in that purchase process and the complications that wide range and diversity of stakeholders creates - not just for the seller organization, but for the buyer organization - to navigate that, frankly, very difficult minefield. Jill: And how many people are involved in the decision these days? Can we talk about that? Brent: We talk a lot about the 5.4, both as a statistic, but also as a metaphor. In many ways, the really interesting pivot-point to this 5.4 story is that in many ways it's not just 5.4 people, but 5.4 perspectives, and each one of those perspectives is very likely to be different. If what they all agree on is to do nothing, then that's what you're going to do. You hear from our members all over the world, their number one competitor today isn't so much competition but status quo. Jill: What role does technology play in the whole environment today? Buying, selling, how does this all fit together with the world? Pat, you're the Director of Strategic Initiatives for CEB's marketing practice -- and pretty technology savvy. What are your thoughts? Pat Spenner: The information explosion, the Internet, the Google, etc, are leading customers to be able to get access to information on their own-- a whole lot of information. Social media has lead to the explosion of perhaps more trusted information than customers might consider coming from suppliers, right? The other way that has affected the consensus play is that technology has enabled flatter organizations, so customer organizations can sort of have far-flung, decentralized, kinds of matrixed organizations, but what that means is that more people tend to get involved in decisions. Jill: Based on your research, salespeople should be calling on the "mobilizer." Let's talk about that person. Who is it? How do you find the mobilizers? What's important to them? Nick, as the Sales Practice Leader and the person in charge of research -- what can you tell us? Brent -- I'd like your thoughts too. Nick Toman: In sales and marketing, there's a conventional view of finding an advocate, or a coach, or a champion inside the customer's organization. Typically, that person kind of has the following criteria: They love your features, they love your products, they love your services, they see real value in those services, and they're often very friendly. However, those people are not the mobilizers and this was one of the most interesting things we found in the course of all our research is, frankly, we were expecting to find the traditional advocate or traditional coach and how important those folks are, and we thought we may have a little chapter on that. Brent: What motivates a mobilizer is doing better for their business, helping their colleagues better the business, making their business take each step forward. They care about the greater good of the company, and they really value big ideas. And so they ask questions, they debate, they push back, because they're exploring, so that they can bring that idea back to their peers with the right amount of credibility, with the right amount of understanding to help compel that consensus to happen. Jill: What do you suggest that organizations do to help people be more comfortable calling on these mobilizers who are going to make most salespeople shake in their shoes? Nick: We know mobilizers love big ideas. We have to first and foremost give our sales team the confidence and comfort with taking big insights out to these particular stakeholders. We have to first get comfortable with the fact that indeed, the best reaction I can get from a stakeholder is someone who's engaging at a very deep level, at a skeptical level, really pushing back on the idea because they're exploring it. That is among the healthiest indicators that I am actually working with someone who has the potential to really drive consensus home inside this customer organization. Secondly, they just don't care to go drive action. They want to learn, they're really interested, they're really quick to agree, and they just don't do anything. The first and foremost thing we have to do is get our sales teams comfortable with mobilizers. Brent: The two defining characteristics we find in our research that really make someone a mobilizer - thus the name mobilizer - is they are good at two things. They are good at building consensus and driving change. Ultimately, one way or the other we're trying to get our customers to change their behavior in one fashion or another and then this very complex selling and buying environment - finding that person who is particularly good at driving that change and building consensus - really matters. The next point, the bummer, is that person isn't always the easiest person to approach or to talk to at that time. Jill: Can you explain a little bit more about this content that makes the mobilizers drool. What would the titles be of articles or whitepapers or webinars or anything that you might do. What makes the mobilizers drool? Brent: In this world the kind of content that we need to create for mobilizers-- because mobilizers aren't looking for a supplier, they're looking for an idea. They're looking for something to materially impact the performance of their business, so what we find is thought leadership - that kind of content specifically designed to help your customers think that you're smart and trustworthy - won't actually make that happen. We delineate very carefully in this book between what we call thought leadership, which is content designed to teach your customers that you're smart, and what we call commercial insight, which is content designed to teach your customers that they're wrong. Just don't put it like that, right? But there's opportunities in front of us. 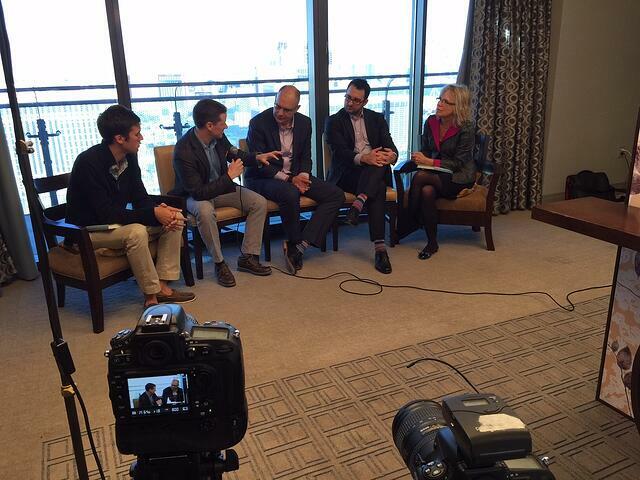 Jill: Marketing creates this content and it appeals to these mobilizers. Do you have sales do anything with that same content, or how is sales using that content? Nick: Some seeds have been planted through good content marketing so that when sales interacts with a mobilizer there's some degree of understanding. Sales really has to ensure we hold the course on that insight, and what's interesting is through the entirety of the purchase process - from the beginning stages, where the insight might be introduced, all the way to the end - you really have to make sure you're continually reinforcing. For every single opportunity that the customer can, they'll look for objections. There will be other suppliers involved saying things that might differ so we have to make sure we stay the course on that insight through the entirety of the purchase process, and that is extremely important. Jill: What is the biggest barrier preventing organizations from adopting the challenger customer? Nick: Truly driving awareness and understanding at the front line manager level around what it means to look for a mobilizer and ensure that the sales teams are indeed working with the mobilizer through the deal review, through account reviews, through opportunity planning. Who's your mobilizer? How do you know? What are you engaging with? That needs to happen. Pat: To me, the biggest barrier is a mindset one and getting marketers and sales folks alike out of a very supplier grounded mindset and into the minds of and hearts of their customers. Now level of empathy is a very difficult thing to achieve in your day to day. Brent: There's an equally important barrier on the customer side, which is their willingness and ability to understand how this is even supposed to work in the first place. Sometimes - we talk about the 5.4 - your customers don't necessarily know who the 5.4 are either. There's a presumption on the supplier side, if we can find the mobilizer, they'll know what to do. And often, they may be willing to mobilize, but they may not be able to mobilize. In many ways the biggest barrier is a customer buying behavior of overcoming the overwhelming nature of the purchase journey itself. Jill: What is the biggest takeaway from this book? Nick: The biggest takeaway from the book, really is focused on what is essentially Chapter Three in the book, how to truly think about a good disruptive insight that helps reframe how that customer is thinking about their business. That is the singular most important idea in the book, and it really is the centerpiece of how to engage these very valuable customers stakeholder types. Pat: For me I'd go back to the 37% figure, and just how early this consensus tends to fall apart. And how, for a marketing audience that might be listening or watching today, that really needs to change the way that marketing works with sales, because marketing has to put itself on the hook to be thinking about the consensus and trying to knit that together. Brent: It's not just that you challenge, but who you challenge that matters and that's deeply important so that-- and the second one just independent of that, is really the core finding of this book, which is in the world of the 5.4 and this world is not really about doing a better job connecting as individual stakeholders to you, but doing a better job connecting to individual stakeholders to each other and that's key to get the deal done in this new role. Jill: Thanks so much guys. I'm going to turn it over to Josh Bland now from TechnologyAdvice who also has a few questions for you. Josh Bland: What would you say, Pat, is the theme of CEB's conference this year? Pat: Well, I'd say that customers have moved beyond being empowered to being overwhelmed and that really needs to change the way that marketing and sales approach the buying experience. Brent: We are now living in a world not so much where customers are empowered, but overwhelmed. And the reason why that matters is because if you solve for one-- the solution for one is actually the opposite of the solution for the other. The solution for an empowered customer versus the solution for an overwhelmed customer are actually 180 degrees different, and if you solve for the wrong problem with the wrong solution, you're going to be slow and wrong versus fast and right. Nick: The new theme in sales and marketing really is about simplification, and not just simplification of what we do within our commercial organization, but simplification for the customer and on behalf of the customer. The reality is, we live in a much more complex world. It is far too easy to just add things to the system and make things more complex. We need to start stripping stuff out. Help the customer understand precisely what they need to do, limit the options, limit the information. Help them find their way through the purchase. It's all about simplification if I would say, one sort of operative word or what we've got to get after it is simplifying things. Josh: Just wondering what you think we'll be talking about at CEB Sales and Marketing Summit 2020. What's the future of this industry? Brent: We have absolutely no idea, and that is why we do the work that we do, and that's why you've got to stay on the journey with us. Because every single year we're learning things that we did not know the year before, and every single year we're learning things that surprise us. Every single year we're going to come to this world with something that no one saw coming, including us, and that's why we do this work, and that's why it's so compelling. Nick: Every year is uniquely different. But, here's the thing I can guarantee you is what will talk about in 2020 is already happening today. We've just got to find it. And that's the thing that I find so interesting about sales and marketing is that there's outliers out there doing something different, and earning and winning disproportionate results as a product of it. We will use our very rigorous quantitative instruments to find that behavior and that's what we're talking about. I don't know, Pat, what else you might add to that? Pat: The future is already here, it's just unevenly distributed, as William Gibson would say.